Hiking in long pants has always been a struggle for me. While the morning might start out cool enough to warrant long pants as soon as I start going uphill I’m generating enough body heat I just want to strip down to my shorts. But then I get to the top of the climb, which is often exposed and/or windy, and I immediately want to put my long pants back on. 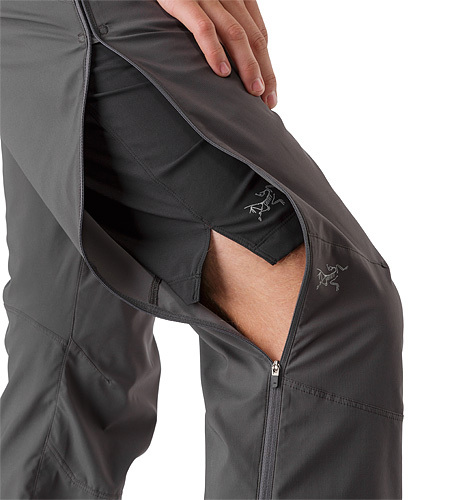 Other times the air temp might not justify long pants but I want to protect myself from vegetation and bugs (overgrown trail, poison ivy, mosquitos) or intense direct sun (the desert or reflecting off of snowfields)… but once again, there is still the overheating issue. What are the best socks for a thru hike? If there was ever a true test of a hiking sock’s durability, a 2200 mile thru hike surely qualifies. 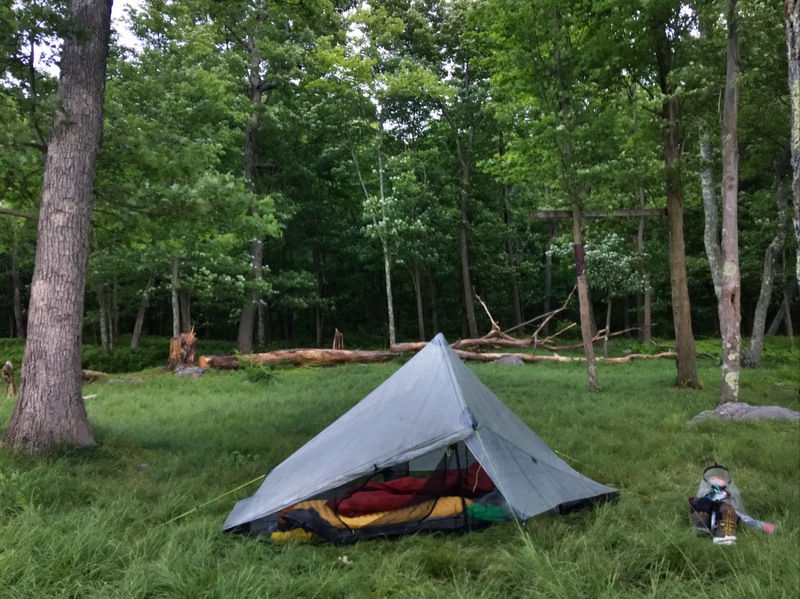 In the summer of 2016 I completed a thru hike of the Appalachian Trail and my primary home for those 117 days was the Zpacks Hexamid Solo Plus. 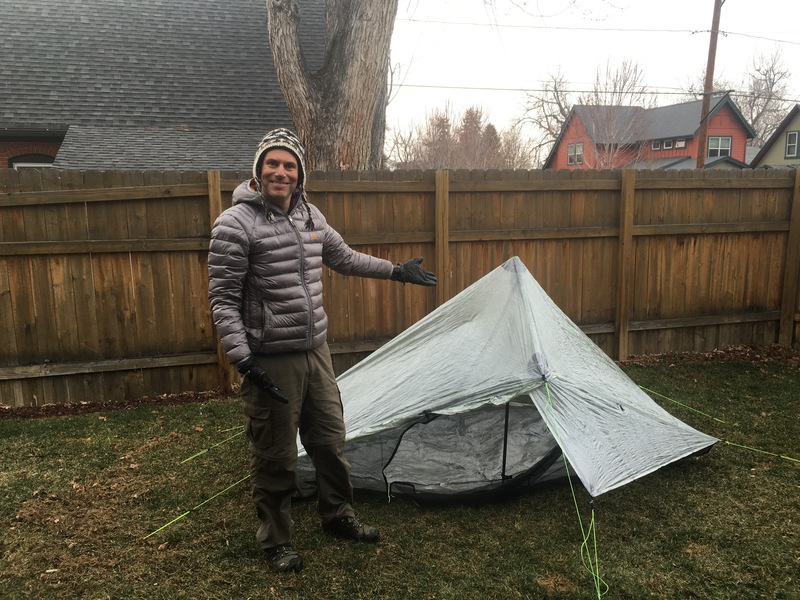 When I purchased the tent the goals were: ultralight weight (~18oz w/o stakes), use of a single trekking pole to set up, and I liked the idea of supporting a cottage industry that manufactures its products domestically. 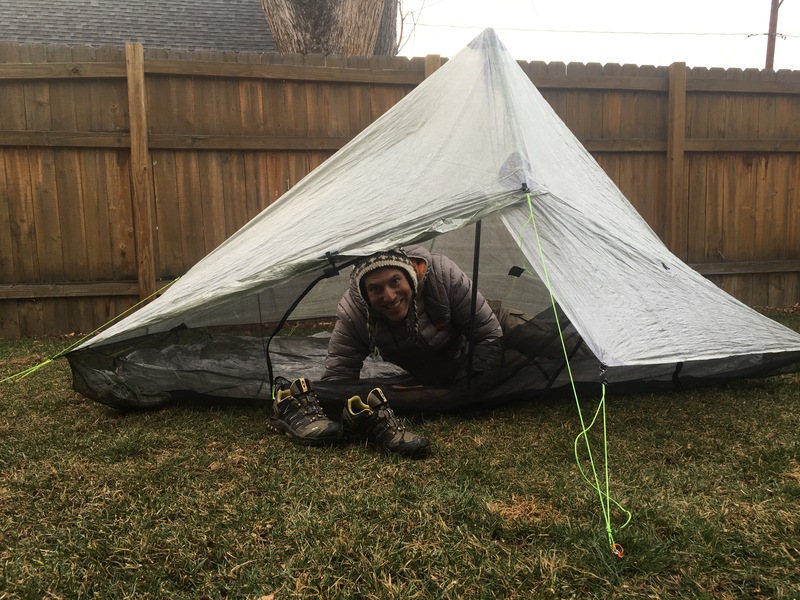 Decided I should test drive my Zpacks Hexamid tent overnight in the backyard. I chose a freezing cold night (22 degrees) to see how it handles condensation and also see how well my 30 degree down bag worked with the Sea to Summit Thermolite sleeping bag liner. I also tested out a Mylar bag inside the sleeping bag to see how much that helped out the warmth. Prognosis, minor frost build up on inside of tent (condensation), Thermolite was great , Mylar burrito…gets a bit clammy and obviously, crinkly. The only thing chilly were my feet, probably just need better insulation from the ground. The Thermolite weighs in at just over 9 oz and I’d have to ship it home when nigh time temps warms up. The Mylar burrito ways 2.5oz and I would just throw it out when it wasn’t needed anymore. There will likely only be a couple of nights below freezing at the beginning (The Smokies), so I’m leaning toward the disposable Mylar. I’ll make the call after I check the 10-day forecast right before my departure. Below is a list of all the gear I plan to take with me on my thru hike. I will update it in the future with more specific product info. I also included a YouTube link describing everything you see. It’s amazing all this crap fits in my pack with 3-5 days worth of food! Not all good gear needs to be expensive! One of my favorite hiking shirts I picked up last year, it has the very odd name 32 Degrees by Weatherproof (what on Earth could this mean?). I actually bought it at Costco in one of each color, white and black, on sale for $4.99. The REI Flash 45 Pack is a fantastic lightweight, full featured pack capable of carrying a thru-hiker load if you can pack efficiently. I have had many packs over the years and each one seems to either represent improvements in technology and/or serve a specific need. 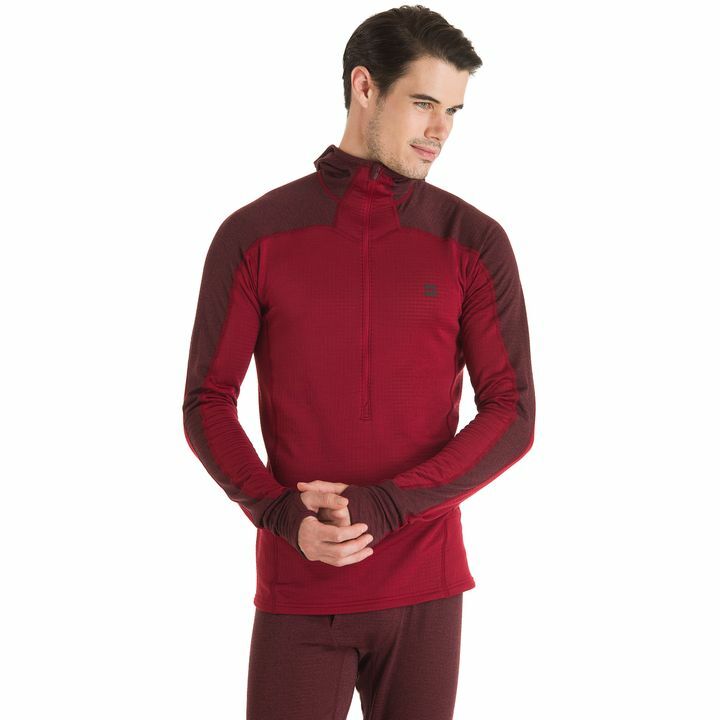 If this link to the REI Flash 45 no longer works unfortunately it may have been discontinued…in the meantime it’s on sale for $64 ! An Umbrella, is great for not just the rain but also the sun. The big advantage is that you don’t overheat like you would in a rain jacket, especially when climbing up hill. It’s not too difficult to rig up to your pack so it’s hands free. 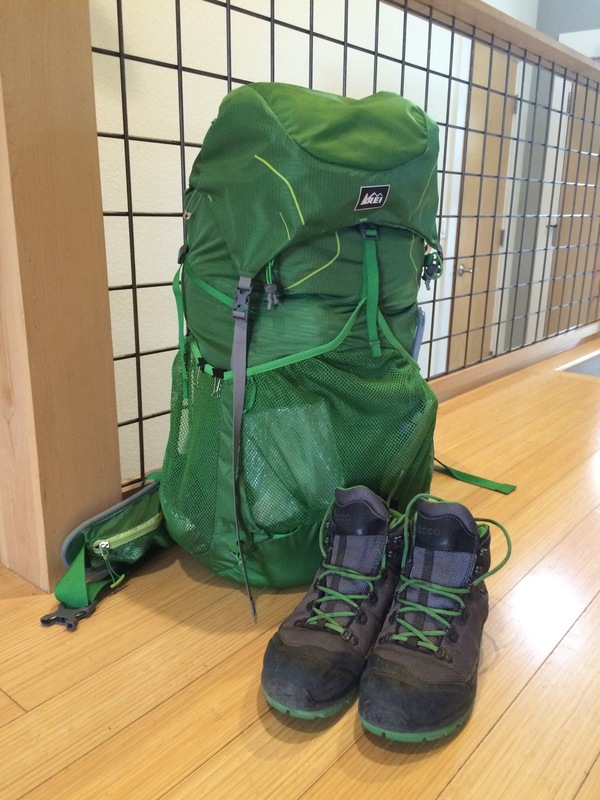 Over the next several days I will start to post reviews of some of my favorite backpacking gear.